8 Awesome Things About the LEGOLAND Hotel! It’s summertime! Which means it’s time for some family vacations and staycations. 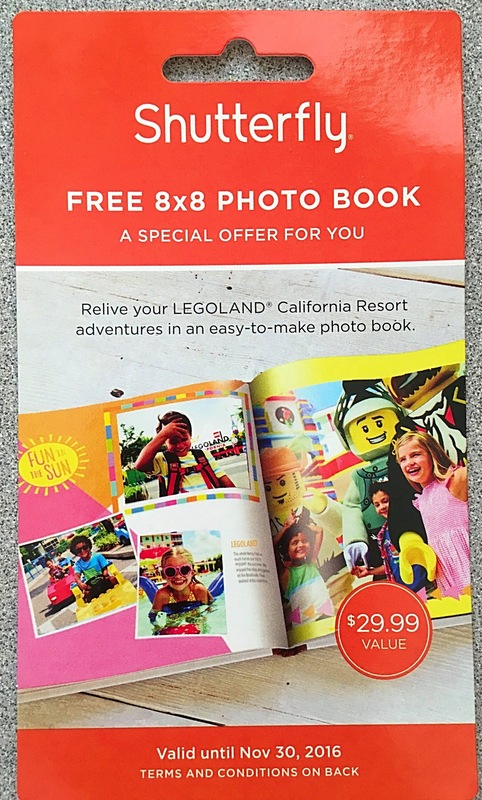 Last summer we stayed at the LEGOLAND hotel in California and it was the most unique hotel I’ve ever experienced! Combined with the awesomeness of LEGOLAND itself, this is one summer vacation you’ll never forget! Here are some AWESOME things you should expect during your LEGOLAND hotel adventure! Dancing! – Next, you’ll find that the LEGOLAND hotel really appreciates dancing! They offer nightly dancing events just for kiddos (or kids at heart). It will feel just like a nightclub with a real DJ, strobe lights, and family friendly dancing music! Your kids can let loose on the dance floor while you sit back with a nice beverage, or of course you could show off your moves, too. 😉 Then hop in the elevator up to your room for another fun disco-dancing experience! Themed Rooms! – After all that dancing, you’ll want to check out your room. After all, this is basically the biggest perk of reserving a room here. When booking your stay, you can choose from a Pirate, Kingdom, Adventure, Ninjago, or Lego Friends themed room. We chose the Pirate themed room and it did not disappoint! It included a separate area for the kids with a bunk-bed, TV, and lots of space to play. And there’s also a queen-sized bed for adults with another TV! No detail was missed! Even the fitness center is Lego themed! Early Entry and Special Parking! – When you check- in you are given a nifty little wristband which grants you entry into the park an hour early. You’ll probably get hungry during the day, so there are lots of healthy restaurants throughout the park as well as specials for kids. I highly recommend picking up a souvenir cup and refilling it during your stay – it will save money in the long run. You also gotta try the apple fries! Apples, cinnamon, and whipped cream make for a delicious treat! Once you’ve fueled up you can sit and relax during a 4D movie, LEGO friends show, or pose with a LEGO character! The Pool! – The LEGOLAND hotel has an awesome pool so you’ll want to make some time to relax and enjoy it a bit. They also provide life vests for the kids and towels for all. Lifeguards are on duty and they do a good job of keeping everyone safe. On some evenings, they play a movie that you can enjoy while hanging in the shallow end or lying in a chair. We went in August and the pool was FREEZING in the evening! The kids didn’t seem to mind, but I didn’t last very long! We also had a nice view of the pool from our hotel room! You’ll most likely be wiped out from the day and you’ll probably hit up your pirate bed pretty early. But you’ll want to wake up early to get started on the next day’s adventures! Breakfast! – One of my fave things about this hotel is the breakfast! Hotel guests can enjoy a free breakfast buffet and it doesn’t disappoint! A hostess will ask your name to make sure you are a legit guest and then seat you at a table. You are free to indulge on all of the breakfast goodies while a server ensures you have all the utensils and drinks that you need. Again, the breakfast is free but you’ll want to leave a tip for your server/busser. The Aquarium! – So technically, this isn’t associated with the hotel but I thought it was something I should mention. Last time we visited LEGOLAND we hit up the water park, but because we spent time at the pool we decided to check out the aquarium. It’s not very big, but it was kind of nice that it wasn’t super overwhelming and it was the perfect size for my littles. And they had Legos all throughout the aquarium! There’s also some extra fun for the kiddos! They can pick up a Log Book and pencil and document their discoveries at different stations throughout the aquarium. After you spend some time under the sea, you can head back to the park to enjoy some more fun or back to your hotel for dancing and swimming. And don’t forget to bring your minifigures along for the vacation! You can trade them at various spots all throughout the park. You can even build your own! The hotel toiletries are Coconut-Lime Verbena scented and they smell delicious! The room is also full of snacks, drinks, hot chocolate, and coffee. Score! And the hotel will give you a badge to celebrate your special occasion. You can also collect Pop Badges for completing different challenges. These are different than the occasion badges and you can learn more about those here. There’s also secret swag hidden in your hotel room. At check-in you are given a scavenger hunt sheet and your room contains a safe that requires a special code. Complete your scavenger hunt to find the code and unlock your safe! I won’t ruin the surprise for some of you…but if you are curious as to what’s inside the box, shoot me an email and I’ll send you a pic. 😉 Plus you may get a coupon for a free picture book from Shutterfly! I took advantage and received my free book! So it’s legit you just pay a few dollars for shipping! Pricing: Since it was the summer, we paid around $250 for a one-night stay. The rates are little bit lower during the off-months. They also offer a military discount, but we found that booking online was cheaper. Keep in mind, this is not a normal hotel stay so the pricing isn’t all that crazy. The hotel itself is a unique experience and you will spend a lot of your time enjoying the amenities. The price also included an internet and parking fee. Be sure to check the website for vacation package deals and learn how to save if you bundle with admission tickets. So bring the fam, sunscreen, and plenty of water and come enjoy the place where EVERYTHING IS AWESOME! Have you stayed at the LEGOLAND hotel? What did you think?! One week ago, I ran the Tri-City Medical Center Carlsbad Marathon & Half Marathon! I was really excited to run this half marathon since it takes place in beautiful Carlsbad, CA…plus it was my first official race running as a Bibrave Pro! Race Day Parking: This race had the easiest parking ever! We were able to park at the shopping mall for free – so tons of spaces!. The mall is also right off the freeway so it was pretty simple to get in and out. Also, the parking attendants were on point. They were organized and communicated well so we were able to park super close to the start/finish line! This race definitely gets bonus points for parking alone! Pre-race: Gear check was in the same place where I had picked up my bib the day before so that was a cinch. Of course me and the other million runners had to use the restroom all at once and their bathroom system was a little off. They put all the Porta Potties (or Porta Johns for some of you) 😉 in a big square and then everyone stood in the middle and just picked one. So the lines really had no order and it got super congested and even more confusing. The runners were released in waves and I was in Wave 6. I was pleased to discover at how quickly the waves went! I only waited about 20 minutes or so before I crossed the start line! I had plenty of time to get adjusted (physically and mentally) and of course take selfies with @thehungryrunner_! Race Course: The marathon began at 6:15 a.m. and the half started at 7:45 a.m. This meant that we all shared the same race course for about 8 of those miles. Another thing that I love about this race is that it’s walker and stroller friendly! I saw a few families out there pushing little people and they were total rock stars! The weather was cool with an overcast so I switched between being hot and sweaty to getting chills throughout the race. The course was an out-and-back and went through the quaint town of Carlsbad and along Hwy 101. It was all pretty flat, with a few small, rolling hills. There were also some slanted areas of the road so you kind of had to watch your footing in those sections. The views were really unbeatable and running along the water was so peaceful! And just like a true California morning, you could see all the surfers out catching waves in the cold ocean. Race/Crowd Support: So after analyzing the race course before race day, I decided not to bring any water along with me. (Although I did bring my trusty SpiBelt!) That’s because there were hydration stations at either every other mile or in some areas, every mile! I’ve really never seen a course with so many water/electrolyte stops! Also, the crowd was amazing! There were volunteers and spectators cheering us on for the entire 13.1 miles! I’ve never felt love like that in any other race! The people of Carlsbad really displayed kindness and generosity this day! So many people holding signs, giving high-fives, shouting out words of encouragement, and giving out their own food/water for us! I have to give a special shout-out to my Stroller Warrior sole-sisters who came out on the course just to cheer and encourage us! Really so much love at this race! I also have to give a shout-out to the lovely gentleman passing out tequila shots around mile 2. It was just what I needed to warm up and get going! And since I didn’t bring any of my own hydration, I appreciated all of the Ultima stops along the way! It really revived me a few times and I couldn’t have completed the run without it! It tasted amazing without a weird aftertaste and didn’t cause any stomach issues. They also had Vaseline at most of the stations which I found very thoughtful! And the bathroom situation was pretty fantastic…Porta Potties (Johns) all along the way! No awkward moments here! Finish Line: The DJ announced our names as we crossed the finish line so we felt extra special. 🙂 and we were given our medals, some water, and chocolate milk. They didn’t like us hanging out around the finish line since it was chaotic in the area and directed us off to the post-race area. We were then given mylar blankets and “Nom-Nom” bags. The nom-nom bags (that’s what they were officially called) had a banana, chips, and a couple of energy/granola bars in a paper sack. Also, select nom-nom bags contained Golden Tickets which meant you won a bunch of extra prizes. I, nor anyone in my party, had the Golden Ticket. 😦 And, to be honest, I feel if something is going to be called a “nom-nom bag”, there should be a lot more “nom-noms” in there. I was grateful for the food and all…I just thought the fancy name gave me different expectations. Post-Race: Compared to other races, there really wasn’t a whole lot going on at the post-race party. There were only a few vendors giving out samples and there wasn’t a DJ or any raffle events going on. I retrieved my gear pretty quickly and headed to the beer garden! The beer garden was even pretty quiet. No long lines and no crowds! There was also a spot for photo ops since this race is part of the Triple Crown Race Series! What is the Triple Crown? Well, if you run the Carlsbad Half in January, the La Jolla Half in April, and America’s Finest City in August…you get an extra dope medal! I think having races as part of a series is a great way to get people motivated because who doesn’t love extra bling?! So..the moment you’ve all been waiting for…What was the SWAG?! -The shirt and jacket are a good quality, although they run small so that was kind of disappointing. However, I didn’t think to ask for an exchange. -The cinch bag is more of a lower quality compared to other races, like the San Diego Half Marathon…but it had a special area to write your bib number for gear check and that was pretty convenient. –Sambazon reps were walking around passing out samples like candy! But this was much better than candy, it was a delicious Acai Bowl! -Virtual Swag bag – included discount codes and whatnot. I appreciate these in virtual form because I normally just throw away the paper versions. The obligatory banana along with goodies from the “nom-nom” bag as well as full-bottle samples of C2O Coconut Water and Suja Juice. Race Photos – Not free, but they started posting them that evening! I couldn’t believe how fast they were available! Scenery swag! I always count beautiful scenery as swag! And, what about the Bling?! She’s a beaut! And I really appreciated the detail of the race date etched in so I can remember this day forever! Pricing: Pricing for the half/full ranges from about $80-$150 depending on how early you register. As of now, the 2018 half is only $79! That’s a great deal! You can sign up here! Overall Opinion: Overall, I really enjoyed this race! I thought it was well-organized with AMAZING support from both the organization and the community. Parking was great and the views were fantastic! The only cons were that the post-race party was a little disappointing and some people aren’t fans of out-and-back courses as they can get a little boring. I would definitely do this one again! I enjoyed running this with friends especially since I knew that I wasn’t going to PR at this race. If I were to give anyone advice for prepping for this event, I would say to stick with your training even through the holidays! When you sign up for a January half marathon, that means you are training through Halloween, Thanksgiving, Christmas, and New Years..so factor in your travel, family visits, food, and alcohol! I’m off to prep for the next event! ***Disclaimer: I received a free race entry to the Tri-City Medical Center Carlsbad Half Marathon in exchange for an honest review as part of being a Bibrave Pro. 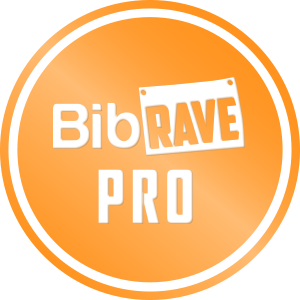 Learn more about becoming a Bibrave Pro (ambassador), and check out Bibrave.com to review, find and write race reviews! 5 Dope Perks about the Carlsbad Marathon/Half Marathon! Course Route – The Full and the Half have similar routes (with different start times) and both begin and end at the The Shoppes at Carlsbad. Most of the course runs along the scenic Pacific Ocean and through the quaint town of Carlsbad with gorgeous views that cannot be beat! And as an added bonus: The Half Marathon course is stroller friendly! 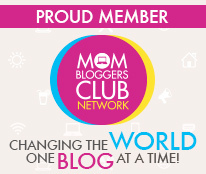 So all you moms and dads can load up the kiddos and bring them along for the ride! *Strollers must begin in the back of the line. 3. 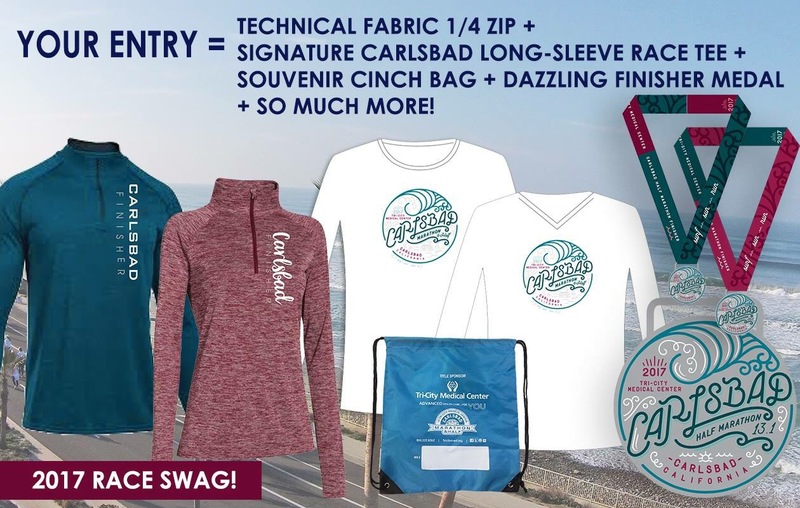 VIP Experience– The Carlsbad Marathon & Half is also offering a Coastal Comfort Package! Add some luxury to your weekend by adding on this package for only $195. This will get you lots of extra perks and will make your weekend super special. Some of this includes: VIP parking, a heated tent, post-race massage, comfy flip-flops, and so much more! But this is limited to the first 100 participants to register quickly! 4. Kids Marathon Mile – Make this a family weekend getaway and let the kiddos run in the Kids Marathon Mile at LEGOLAND the day before the Marathon/Half! The course will begin right outside the entrance of LEGOLAND and will run into the park and finish right outside! The kids will receive their very own t-shirt and finisher’s medal plus free admission into LEGOLAND! How rad is that?! Marathon/Half Marathon Participants must pick up their bibs at the Health and Lifestyle Expo prior to race day, so why not make a fun day of it by letting the kids run in their own fun LEGOLAND race! 5. SWAG – Of course the coolest perk about this event is the SWAG!! This includes: course support and entertainment, a long-sleeve technical shirt, virtual goody bag, finisher’s medal, mylar blanket, refreshments, a 1/4 zip pullover (new this year), and much more! I can’t wait to see all of this amazingness in just a few weeks! There is still time to register before prices increase again! And you can save $20 by using promo code “BIBRAVE20”. Note: I received a free race entry to the Tri-City Medical Center Marathon & Half Marathon as part of being a Bibrave Pro. Learn more about becoming a Bibrave Pro and check out Bibrave.com to review and write race reviews! “Everything is awesome…everything is cool when you’re part of the team!” If you love hearing this song on repeat, then you will LOVE Legoland! 😉 So I had the pleasure of visiting Legoland California (there is another one in Florida for those who don’t know) and I wanted to share a few of my experiences in this “awesome” themepark! 😉 See what I did there? Tickets: We purchased our tickets at the ticket office on the military base, which gave us about a $30 discount per ticket. I also had a coupon for a buy one adult ticket, get one child ticket free…so we purchased that ticket at full price – which was about $117. This was a hopper ticket where you can choose between the water park and the aquarium. We chose the water park since it was a hot day and my tiny humans love splashing in the water. The tickets we purchased on base also included a free second day to be used before the end of the year. Parking: Parking is $15 for regular parking and $25 for preferred (upfront) parking. The preferred parking was sold out this day so we parked in the general parking. It wasn’t a long walk so it wasn’t too bad, although I was surprised there wasn’t a golf cart or shuttle service for those who may have a harder time walking long distances. Season/Hours: We went on a Thursday and got there around 1pm. P.S. it’s July…in California soooo I was melting by the time we got to the gate. The park hours are 10am-8pm so keep that in mind when planning your trip. They stay open until 9pm on weekends, but it’s still an early closure time compared to other theme parks. Even though it’s prime tourist season, the parking and park itself wasn’t too crowded. We got in pretty quick and moved easily around the park. Also, unlike many theme parks, they don’t do fireworks here unless it’s during Fourth of July. First Impressions: Everyone was very friendly and cheery and eager to help. I would almost venture to say they were friendlier than the Disney staff (maybe everything really IS awesome in Legoland). We headed to the information booth to get maps and our “First Time Visit” pins so we could plan out our day. The attendants were super helpful and explained which rides the kids could ride as well as how to decipher the map. You can also download the app to help navigate the park and view the wait times at each attraction. Food: We got some food at the Pizza buffet and again, the staff was super friendly with helping us find the right spot. We also discovered that several of the restaurants offered free meals for kids (with the purchase of an adult meal) after 5pm. We were a little early to take advantage of this deal, but I was surprised that many of the eateries offered so many healthy options and salad bars. It was great to have choices other than fried foods and greasy pizza. I ended up purchasing one of the collector cups for $9.95. Sometimes I think these are a scam, but since it was an excruciating hot day I knew we would be drinking lots of fluids. The cup included $1 refills at any restaurant, but next time I will know to bring lots of water and drinks for the kids. And if you download the app, you may receive 10% off your refillable collector cup purchase. Water Park: The water park is much smaller than typical water theme parks, but it’s great for smaller kids. There are also a couple of splash pads placed throughout the main park which is a great way for everyone to cool off when it’s super hot. The tiny kids loved the water park and the bigger kids (my husband and bro-in-law) liked the water “thrill” ride. They also have a lazy river type ride but the line was too long so we didn’t check it out. They have plenty of beach chairs and benches for you to rest as well as lockers/showers, concessions and towels for purchase. They also offers cabanas for $250 a day. They include a private area with chairs and a mini fridge. This is a great option if you plan to spend the whole day at the water park with family or if you wanted to split the cost with friends. Legos, Legos, Legos: So the park is literally made of Legos. Like everything! I really enjoyed seeing all of the Lego sculptures. There is a work of art everywhere you look! My favorite exhibit was Miniland – tiny cities made up of…you guessed it – Legos! Take special note of the One World Trade Center Lego building in the New York City sculpture – it’s the tallest Lego tower in the country (26 feet)! And this is where the magic happens! I can’t even imagine the time and effort it takes to strategically place each one of these Lego pieces! Rides/Shows/Play areas: There were several rides for smaller kids and a couple of thrill type rides. I will say most rides are geared for ages 12 and under so don’t expect any crazy adrenaline-pumping rides when planning your visit. There is also a 4d Lego show, but we didn’t get a chance to attend this day. They have a few outdoor play areas for smaller kids as well as indoor play spaces filled with Legos. You can literally bathe in Legos if that’s your jam. I took the opportunity to make my own creation….a Lego apple martini! Ninjago: This is the new area for 2016 so it’s pretty hyped up (it’s mentioned in every Legoland commercial here). It’s actually a fairly small area, but there is a rock climbing wall, some sculptures and the Ninjago ride. The ride is an indoor virtual reality experience where you are given 3d glasses and then you use your hands to fight ninjas that pop up on the screen throughout ride. You score points for each ninja you take down and the goal is to get the highest score in your four-person car. This really was an arm workout more than anything, but I’m sure that a ninja aficionado or a six-year-old would find this to be a more exciting experience. Souvenir Shops/Extras: I will say that there are lots of things to see at this theme park! So much that we didn’t have a chance to see everything! There are plenty of souvenir shops so that you can remember your day at the park and you will see Lego characters periodically walking around although we didn’t have time to get photos with them. There is also a face painting station and lots of gaming areas. We stopped by the ticket table on the way out where we received a free extra day! It can only be used between September-November, but it’s still a nice incentive! Hotel: I will also note that there is a hotel on site – within feet from the entrance of the park. This is something that we may invest in on the next visit so that we can get the full experience. SWAG: There wasn’t really any obvious swag besides the 1st Visit pin…but we did get an extra free day as well as the souvenir cup. My brother-in-law also played one of the basketball games. It was $20 for 9 balls and he’s a pretty amazeballs basketball player. He ended up making two goals so he received two stuffed animals…and like a good uncle, he generously gave them to each of my kiddos. I was surprised at the awesome quality of these toys! They were huge, full-sized stuffed animals made of a soft, plush material – not like the cheap, carnival stuffed animals you typically win at a county fair. This was a nice surprise and again, the young man running the game was super friendly! And we received a coupon from Shutterfly for a free photo book! Can’t wait to cash this in! Overall, it was a great day! I can’t wait to go back and see all of the exhibits and rides that we missed on the first day. Stay tuned for part two the Legoland California experience! I’d also love to hear about your Legoland adventures! Please comment below!